The elegance is in the details. 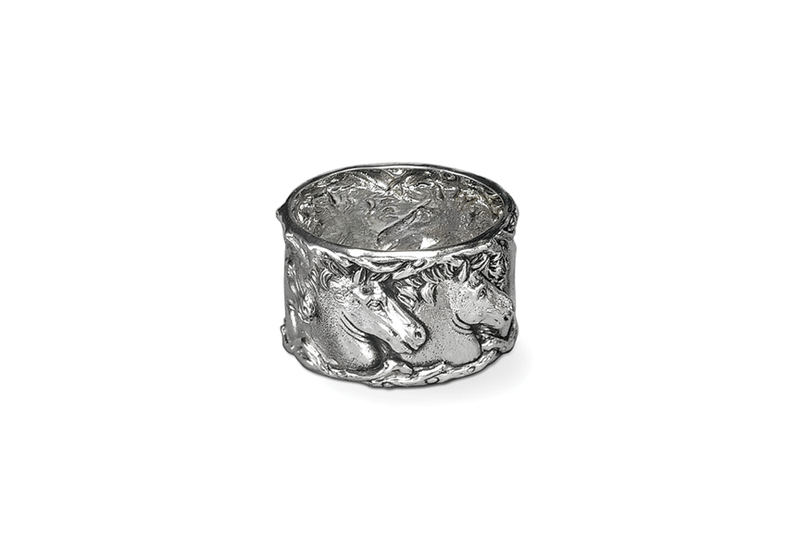 Imagine your dining table graced with a repoussé sterling napkin ring at every place. The row of horses are crafted to showcase the grace and energy of these fine animals.